This shamefully good Texas Red Ale is brewed with no restraint. Malty and robust with a perfect balance of hop flavor and aroma, our red finishes smooth and easy! If you have made love in a canoe, then you know it is done really close to water…this American Light Lager is meant for one thing and one thing only — to crush, and crush often while still drinking a flavorful craft lager. 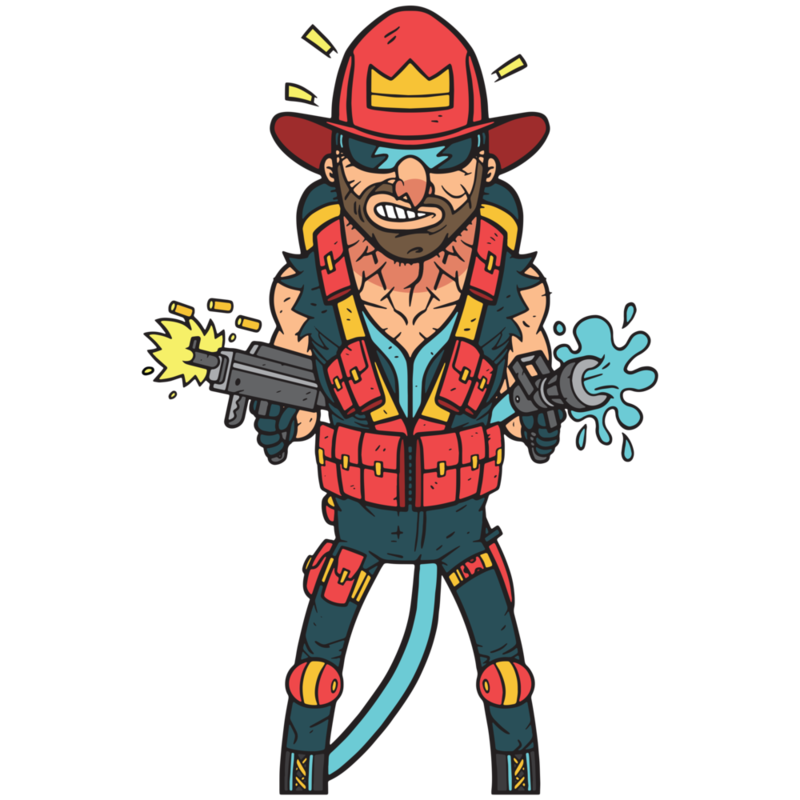 Tactical Combat Firefighter is everything we love in an IPA, little bit of NE, little bit of West Coast, a whole lot of Noble Rey. This DDH IPA is smooth and crushable, packed with hoppy goodness for the Texas heat while staying full bodied. Big chocolatey imperial stout. A great beer whether you’ve just joined the rebel alliance, or just finished a long brew day. Take an IPA and feed it steroids, and you will find yourself at the feet of our hop monster. Like most of our IPAs, this is a blend of American style IPAs we love, with a Noble Rey feel. We had Gobs of late addition and whirlpool high alpha hops while adding in some Dankness with a big dose at first wort. Our malt build keeps this beer as crushable as an 8% all grain (no sugar) beer can be! This belle of the ball is our Kettle-Soured Strawberry Rhubarb Saison! We make it in very limited runs, and then she hangs those ugly dresses up and saves wishing for Mr. Right for another time. Loads of strawberry and rhubarb puree along with 35% flaked oats & wheat make for a fluffy, creamy mouthful of this delicious kettle-soured saison, and coats your mouth with big notes of tropical fruit, rhubarb, strawberry, and lemon zest. Golden Rey is brewed with 35% wheat, which makes for a creamy mouthful that carries a punch of ripened peach, orange zest, and tropical flavors. We hop this beer aggressively with Columbus hops, then dry hopped with Citra hops. 30K is a Golden Sour Ale that punches you in the mouth with sour fruity flavors and a unique fermentation method that makes the wine yeast/brett/lactobacillus the star of the show! We first kettle sour to 3.4 pH, then ferment with a famous Napa Valley mixed red win yeast. Once the wine yeast does its job, we finish it off with 12 Brett strains from Omega Yeast Labs. Kettle-soured ale with a mix of sweet and tart maraschino cherries. A crime-fighting cherry + passionfruit Berliner Weisse that’ll whip you in the mouth. This peanut butter cream ale is dossed with almost 30lbs per barrel of raspberries and blueberries! We added lots of Flaked Barley/Rye/Corn to get a nice beady and sweet character you would expect in any great peanut butter and jelly sandwich…beer. This collaboration with Intrinsic Brewing is a clean, crushable, pink kettle-soured blonde ale with tons of hibiscus and lemongrass powdered tea! Strong notes of hibiscus, lemon, mango, cherry, citrus, and tropical fruits. Clean sour, no overpowering pucker.